European Bathrooms: Wishing You a Joyful Christmas and a Happy New Year! Winter Bathroom Sale Starts January 3 rd ! Looking for a beautiful new bathroom? Our fabulous Winter Sale starts Tuesday 3rd January 2017. You’ll find savings of up to 30% on certain luxury bathroom ranges, plus up to 70% off display items. 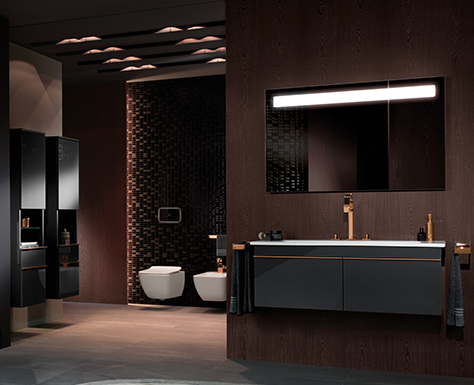 Visit your nearest European Bathrooms showroom to see latest deals on a wide selection of top bathroom ranges, including: Jacuzzi, Crosswater, Villeroy & Boch, Hansgrohe and Burgbad, plus Bisque designer radiators and towel rails. We also offer free, no obligation home and in-store design appointments. Call your local showroom for more information: Windsor 01753 865 050, Amersham 01494 434 349.